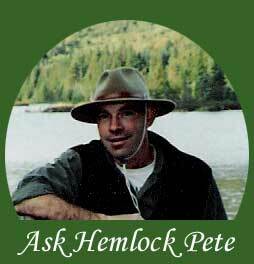 The most frequent question I get asked is, "Where did you get the name Hemlock Pete?" First of all my name is Scott Edwards. The Hemlock Pete title was given to me by my grandfather, Howard Wardner. A man who was blessed with three daughters and not a single son, an avid outdoorsman born and raised in the Adirondack Mountains of upstate New York. His father was an Adirondack Guide working for the Paul Smith's Hotel. When I was born (in Key West Florida) my grandfather drove down to see me, a very long trip back in 1957. As the story goes according to my grandmother he took one look at me and declared that I was his "Hemlock Pete". The one who would accompany him on his hunting and fishing excursions. Unfortunately for both of us he passed away when I was merely two years old. My grandmother (Mildred Wardner) quite often would mention how much Howard would have enjoyed my company. As I grew up I spent as much time as possible outside. Although I never developed a passion for hunting, there was never enough time in a day for fishing, hiking, or canoeing. I spent a lot of time convincing people to go on outings with me. One summer I actually built a canoe cart out of an old bicycle and a couple of 2 x 4's (should have patented that thing) because I could never get anyone to help me carry the canoe to the local pond. My true love for canoeing developed after I graduated from college. I began racing white water and shortly thereafter, flat-water marathons. Living in Lake George, NY, I was also in great country for camping and exploring. For a short time I worked as a licensed Adirondack Guide. In the mid '80's I relocated to NH following my career in the lumber business. At the time I had one son and then a second followed shortly thereafter. At some point there were discussions on the cost of college educations and so was born the idea of a part-time canoe business. I believe it was 1990. 11 boats were sold that year and probably 25 paddles which were all hand crafted by me. Each consecutive year it grew a little, taking on more product lines and expanding into rentals. After 6 years sales had topped 100 boats. At this point still run out of the garage with no plans to do otherwise. There are no worries about how much or how little was sold as my overhead was quite low, allowing me to approach a sale as it was originally intended, with no pressure. In the late '90's a career change brought me into teaching. A profession I immediately fell in love with and still hold that passion today. My curriculum even includes classes in wood and composite boat building along with outdoor exploration education. 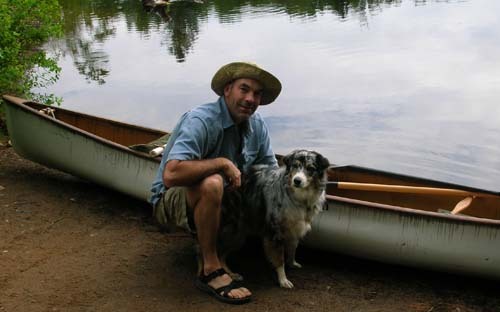 Along with the new career came summers off and the ability to run Hemlock Pete's Ultralight Canoes and Kayaks full time through July and August. Shortly after the millennium the business was moved from the garage to the barn, directly across from the North Haverhill Fair grounds. Over the years Hemlock Pete's has developed a solid reputation for quality, service, and fair prices. This will never change, as it is a matter of personal pride. What does the future hold? 2017 will be our first full season out of the new barn located in Orange, VT. At the same time as the opening of Hemlock Pete's custom Woodworking. All of which will follow the same original philosophy of quality and service. 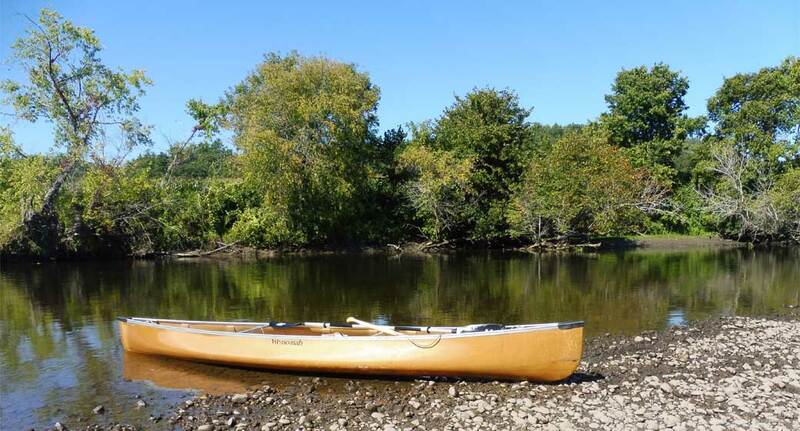 Stop by and visit my wife Lisa and I just to hang out and chat or join us for a paddle.